Analysts Stifel and Citron today issued some statements and ratings on NVDA (NASDAQ:NVDA), Intel (NASDAQ:INTC), and AMD (NASDAQ:AMD). AMD received a more positive outlook while both Intel and NVIDIA received mild downgrades. Citron Research, an online stock commentary source, said today that it expects a sub $200 NVDA price “soon”. They back up their guidance claiming that the machine learning and deep learning markets are beginning to slow in acceleration in terms of growth for Nvidia. Just how exactly these markets are narrowing down isn’t disclosed by Citron. They go on to mention that hyper-scale customers might be looking at more proprietary hardware versus NVIDIA’s more off the shelf technology. Citron does admit that automobile chipsets are an unknown factor and also cites declining profitability from mining crypto with NVIDIA hardware which represents a risk to the recent demand for its products NVIDIA has been enjoying. More on crypto-related GPU demand in a bit. We would be remiss to ignore that Citron was extremely bearish on Nvidia last summer and issued a scathing report in June 2017. Link. Citron was proven wrong as NVIDIA stock went on to reach new record highs on the back of ever-increasing revenues and margins thanks in large part to its lead in GPU tech. Stifel, led by analyst Kevin Cassidy, issued an upgrade from Hold to Buy for AMD with a new price target at $13 which represents a near 30% upside from where AMD closed today. First, he argues that the market overreacted to news that AMD would be threatened by new crypto mining solutions. AMD management officially stated crypto accounted for only ~5% of revenue so he may have a good point here. So the market may be so starved for video cards in the channel and at retail that even if the mining market bottom falls out there should still be enough demand to stabilize video card shipments for the foreseeable future. However, prices have at least started to normalize closer to MSRP as just reported earlier today. Stifel also cited the impending threat EPYC represents to Intel’s server business. They expect to see major revenue ramp in the second half of this year as AMD starts to claw back market share from Intel in the highly lucrative data center and enterprise markets. 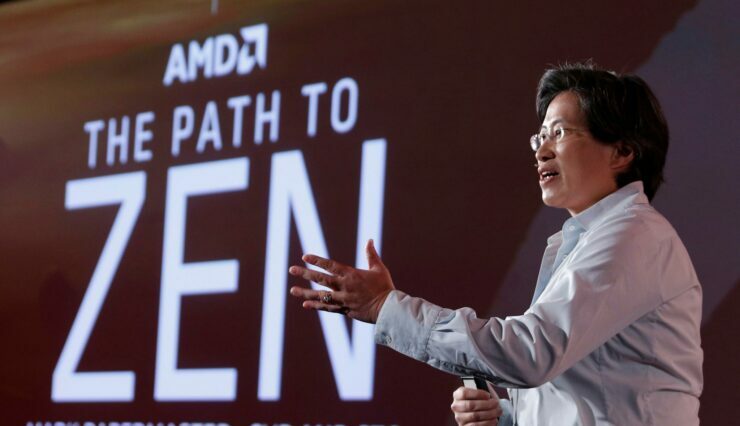 AMD has long been beating the “gross corporate margin” drum as a focused goal and the Austin, TX-based chip maker might see this realized with its new Zen-derived product stack. We will delve further into this later during our coverage of AMD and Intel’s quarterly earnings in the coming weeks, but for now in order to understand what this means to both companies let’s put the importance of EPYC into context. In 2017 AMD did a TOTAL of $5.3 billion in sales across all segments and product lines. They did under $4.3 billion in 2016. The data center market is estimated by AMD to be worth $21 billion. They currently have <1 % of this market due to a lack of competitive products and EPYC looks to change that. 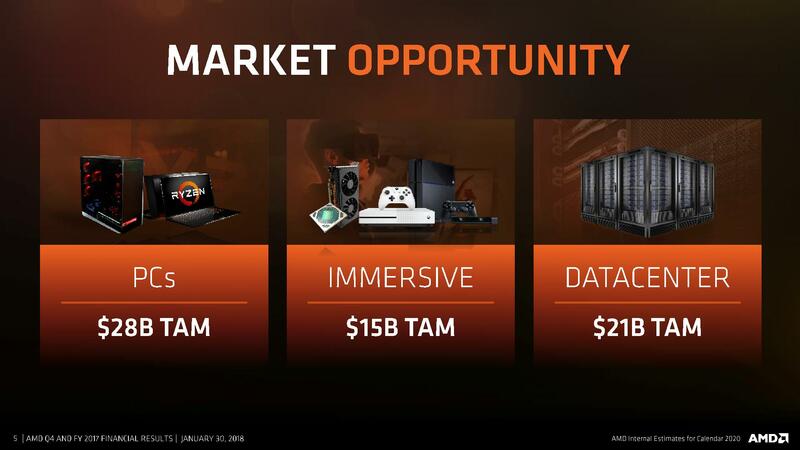 If AMD grabs just 20% of this they could almost double their revenue. Is this feasible? The last time AMD had a competitive data center product, they reached 24% market share with the Opteron family of server CPUs back in 2004-2005. So its been done before and there is precedent at least. 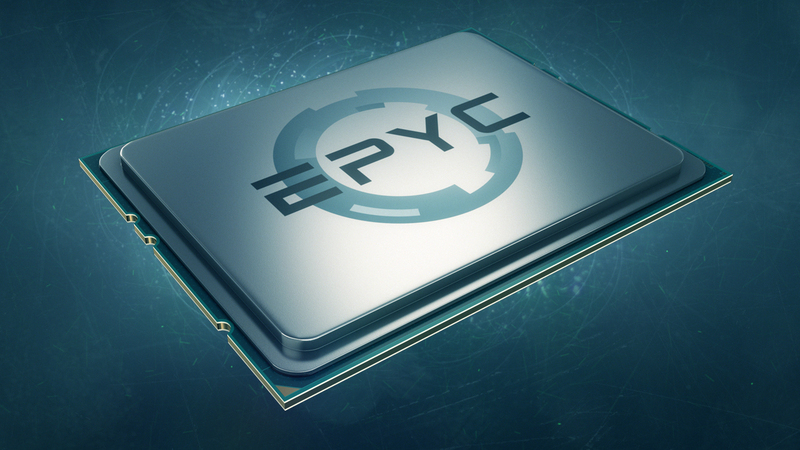 Major OEMs have been announcing systems based on EPYC and some major upgrade cycles are coming later this year. Intel may be exposed here as they have reached market saturation and stand to lose ground which is why Stifel issued a separate note today calling for a downgrade on Intel stock from Buy to Hold. Stifel analyst Kevin Cassidy mentions Intel’s lead in the processor space has “degraded,” in terms of lithography process (the technology that underpins how processors are manufactured). 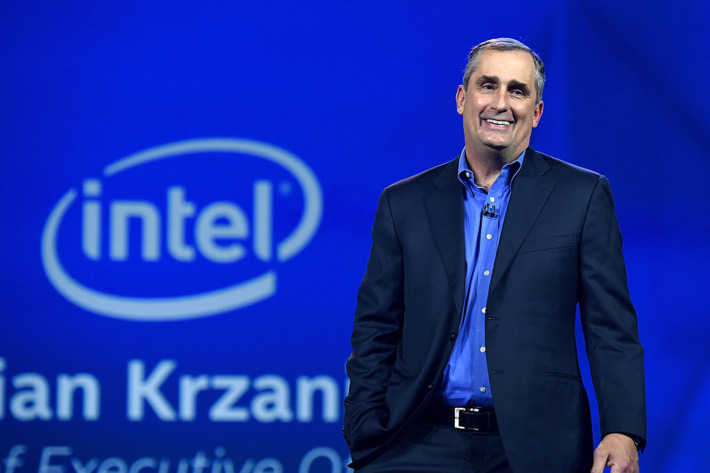 “While we understand that process technologies may not be exact comparisons, we find it increasingly difficult to see Intel’s process advantage,” he said. It’s worth noting the firm does maintain a price target for Intel at $53 which is a few percents above where Intel closed today at $50.38. All three companies are due to release first quarter 2018 financial statements in the coming weeks so keep your eyes peeled for those reports complete with our analysis.